Public parks are the settings for our shared experiences. They improve the quality of life for all New Yorkers by providing spaces for social and civic engagement. By developing occasional volunteers into community leaders, we build long-term investment in public space and strengthen the social fabric of our neighborhoods. 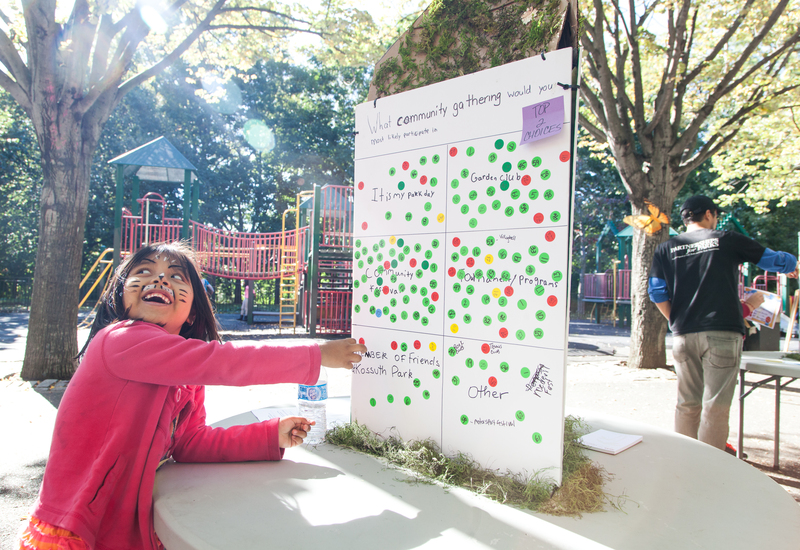 Partnerships for Parks is a unique public-private partnership between City Parks Foundation and NYC Parks that supports and champions neighborhood volunteers by giving them the tools they need to advocate and care for their neighborhood parks and green spaces. We equip people, organizations and government with the skills and tools they need to transform these spaces into dynamic community assets. There are currently over 2,000 parks in New York City. These places are our backyards, where we connect, play, and celebrate life’s moments. When people come together to care for these spaces, they thrive. And when parks thrive, neighborhoods thrive. Parks are spaces where community members and decision makers can work together to create their city. Attend! Our innovative free workshops and trainings are a great way to meet, network, and learn the skills needed to build and sustain your park group. Apply! Our small grants program offers funding for park projects including events, tools, websites, and marketing materials. Dig in! We offer year-round volunteer opportunities: from painting benches and planting bulbs, to weeding and cleaning, and much more. Connect! Our on-the-ground Outreach team helps connect volunteers to resources that help them grow into sustainable park groups.